I know exactly how you feel because I’ve been there. No time, no money, little creativity. Or that’s what I told myself. Only when I stopped letting my insecurities and fears control me and began to transform my house into a home did I discover the act of creating was also healing for my heart. 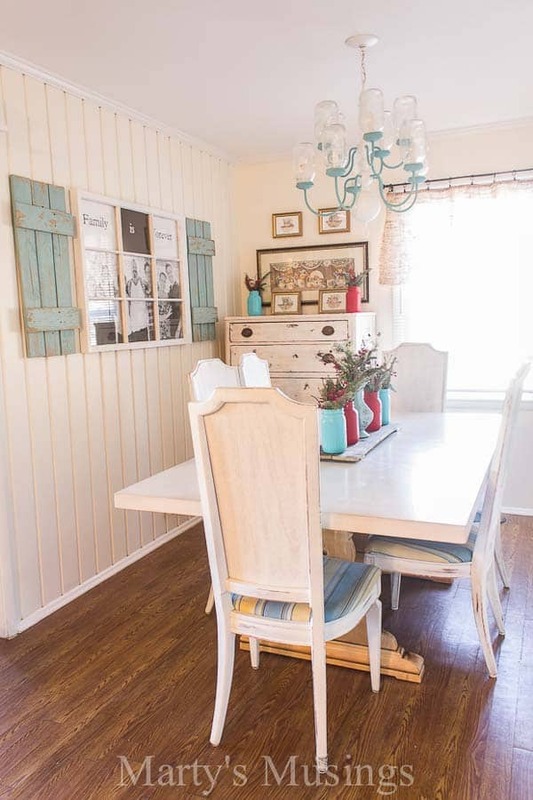 I believe anyone can learn to create an authentic home, filled with simple, thrifty decor. Imagine living in a home that was warm and personal, every room filled with things you LOVE, a place where you are proud to entertain family and friends. What if your home was such a comfortable place you never wanted to leave because you were surrounded with treasures that filled your heart? And what if you could do all these things and money was no object? Hey, y’all! I’m a 50-something, average, imperfect wife, mom and nana. These last several years have been chaotic and sometimes heartbreaking as my husband and I have passionately raised five busy children. Most days I’ve been in survival mode, often discouraged and spent, having poured myself out taking care of everyone else. During these hard years I yearned to create a charming, comfortable home when beauty was hard to find within our family. On the outside, everyone else seemed to have more money, time and talent. My own creativity was stifled by the demands on my time while our finances barely supported our simple lifestyle. I had no idea where to even begin creating my dream home. In spite of these obstacles I began to faithfully shop yardsales and thrift stores and used my craft skills to decorate our home with things I loved. I started out slow, experimenting with different colors and decorating styles. Along the way I realized I really could transform my home, one small area at a time! I developed confidence as friends and family began to ask for practical tips and advice on home decor from ME! I celebrated small victories as I transformed stuff other people threw away into repurposed treasures and I’m here to show you how to do the same. To get you started on the road to creating your own beautifully authentic home here are some of my favorite posts! It may be small but it’s home! My Home Tour, filled with trash to treasures projects galore! We are in the process of completely gutting our kitchen (which included taking down a wall between our kitchen and living room). You can read about how our small ranch home kitchen remodel began (it was one heck of a conversation!) and how to save thousands of $$$ on a kitchen remodel. The transformation is ah-mazing! Probably my favorite thrifty DIY so far: Gray and Coral Bedroom Makeover. It’s amazing what a little bit of paint and love will do! You’ll love these 7 Chalk Painting Tips for beginners. Yes, chalk paint is the answer for messy painters like me! Top 10 List of things to shop for at yard sales! 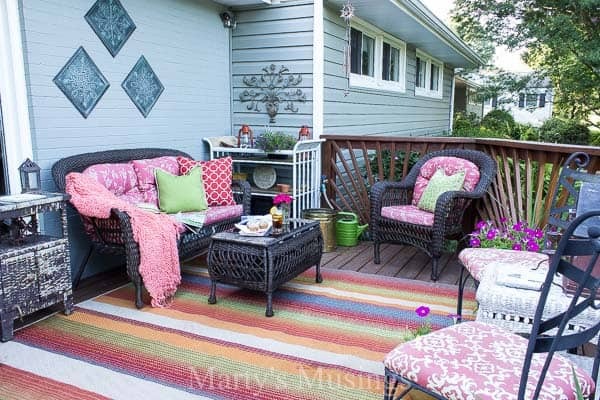 See my entire DIY Project Gallery for more inspiration! I’d love to hear from you. Send me an email at [email protected] and we can talk about creating a beautiful home the thrifty way!